The Glendronach 12 is one of the best entry single malts around. The combination Sherry of sherry casks (some Pedro Ximinez and some Oloroso) gives lots of toffee, malt and nuts overlaid with raisins and fruit pie. 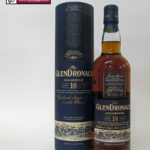 This Glendronach is one of the biggest sherried whiskies in any distilleries standard range. Phenomenal layers of sherry trifle and stewed fruit. What the WSD thinks: Softened summer fruits on the nose in a tin can with Toffo (chewy toffee sweet) resting on top. 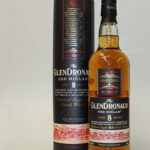 The Glendronach Hielan or Highland in the local Doric dialect, is an expectional 8 years old single malt. 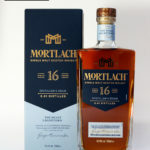 This remarkable whisky has been matured and married in a combination of the finest bourbon and sherry casks. 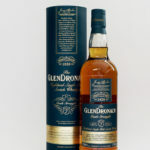 This Glendronach is richly sherried and was matured in ex-Oloroso and ex-Pedro Ximenez sherry casks. It is bottled at cask strength. Distillery: Batch 7 presents bursts of blackberry and ripe sultanas on the palate, giving way to Seville orange and roasted chestnut. Add a drop of water to reveal a cornucopia of flavour - from wild figs and brambles to baked apples and damson plum.